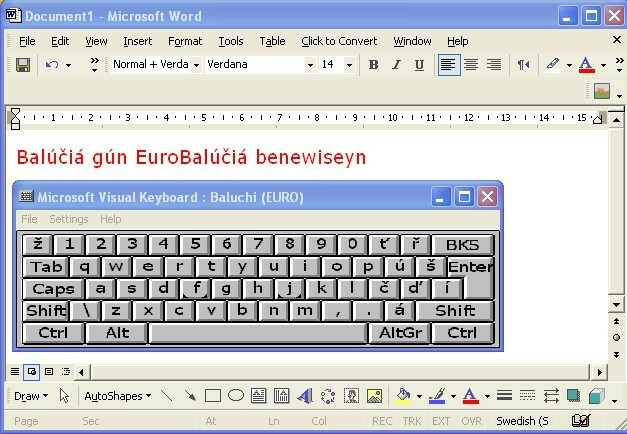 1 Download Balúči Keyboard Layout. For Windows XP/Windows Server 2003 click here. For Windows 2000 Professional/Server, NT 4.0 Workstation/Server click here. 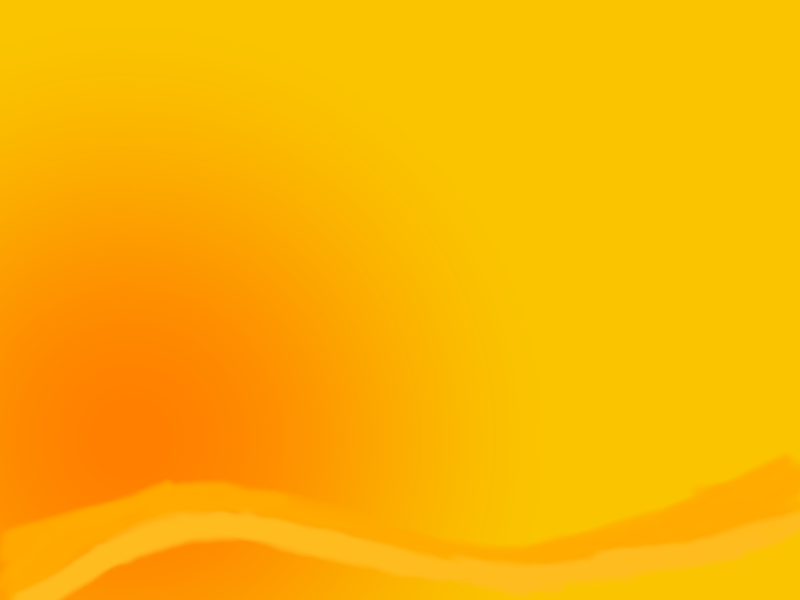 For Windows Vista click here. اگر همه چيز به خوبی پيش رفته باشد بايد اكنون در سمت راست و پايين صفحه كامپيوتر، تصويری مشابه مثال پايين برای Windows XP وجود داشته باشد. تغيير Keyboard از بلوچی به انگيسی يا هر زبان مورد دلخواه شما و بالعكس به راحتی و فقط با كليك كردن روی زبان موردنظر انجام ميپذيرد (تصوير پايين). حال برای اينكه مطمئن شويد كه Baluchi Keyboard بدرستی عمل ميكند، يكی از نرم افزارهای ويندوز بعنوان مثال Word را باز كرده و با آن به خط يوروبلوچی بنويسيد. Microsoft Visual keyboard supports typing in more than one language on the same computer by showing you a keyboard for another language on your screen. You might use Visual Keyboard when you change your keyboard layout from one language to another. When you change keyboard layouts, the characters you see as you type might not correspond with your keyboard. Visual Keyboard lets you see the keyboard for the language you've switched to on your screen so that you can either click the keys on your screen or see the correct keys to press to enter text. To copy the download to your computer for installation at a later time, click Save or Save this program to disk. Run (VkeyInst.EXE). b- The actual MSI uses only Windows Installer 1.0 features, and thus can be installed automatically on any Windows 2000 or later machine. On a Windows NT 4.0 machine, you might possibly have to include Windows Installer itself (InstMsiW.exe, which is at least 1.5mb). This would only ever be required on NT 4.0.